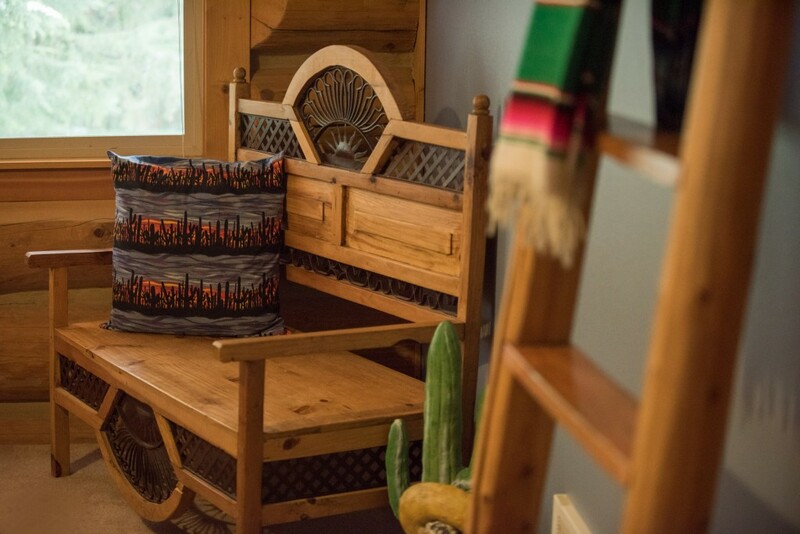 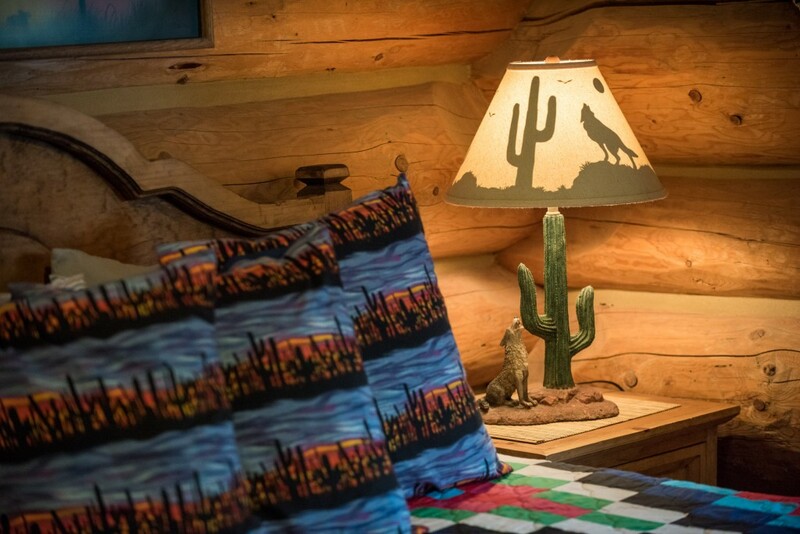 Greet the morning sun in the comfort of the southwest style of the Siesta room. 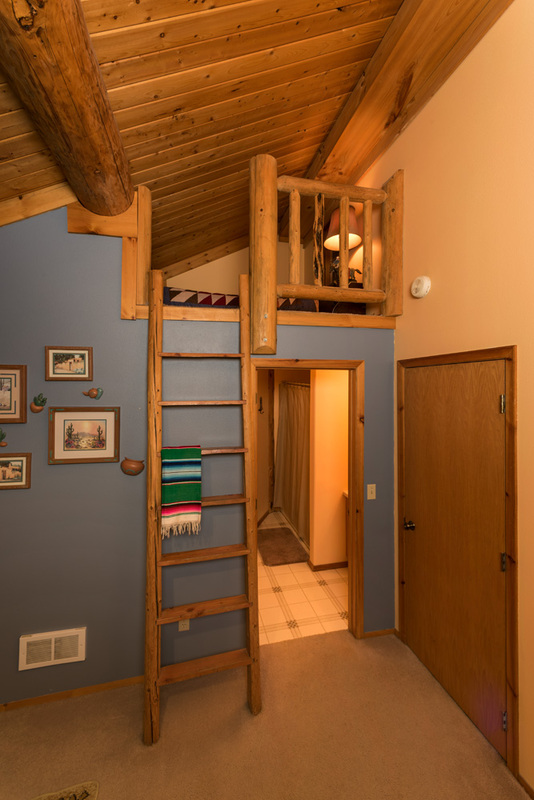 A queen size bed, private bath and cozy loft with single bed suitable for children make this room warm and inviting. 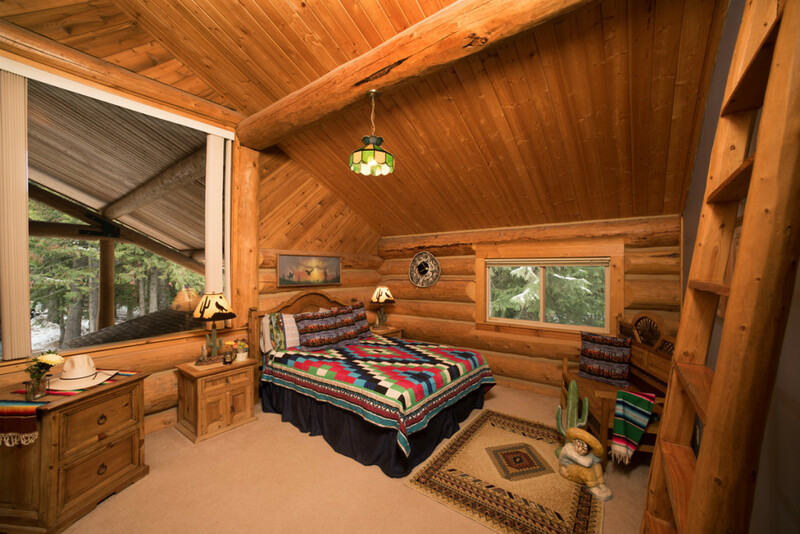 The Siesta room is located on the upper level in the Grand Lodge and has large windows with wooded views.